A big “thank you” to the MetroPlan Orlando Board for putting trails a priority this legislative session. Seated at number one on the list is funding for the Coast to Coast Trail. 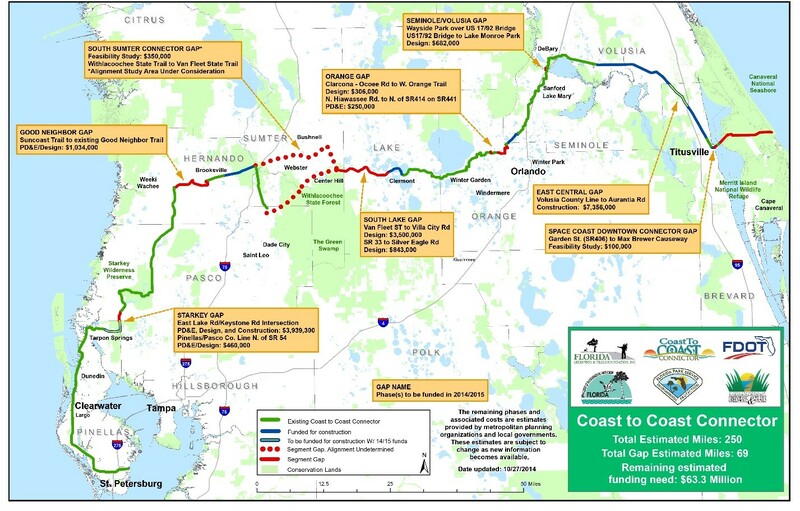 The trail ultimately will provide a safe and continuous multi-use route from the Gulf of Mexico to the Atlantic Ocean through Central Florida – over 250 miles. Over 200 miles of the corridor is already developed with a goal of closing the gaps in the next few years.